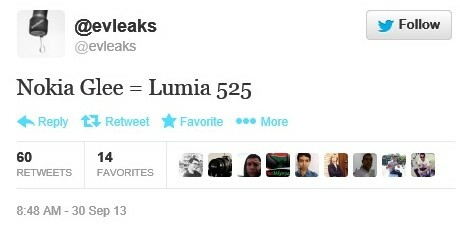 Evleaks has yet another leak for us this fine day concerning a reported newer updated device to the smash success hit the Nokia Lumia 520. The new device, the Noka Lumia 525, codenamed “Glee” is set to be announced along with 6 other reported devices in Abu Dhabi for the Oct. 22 event. 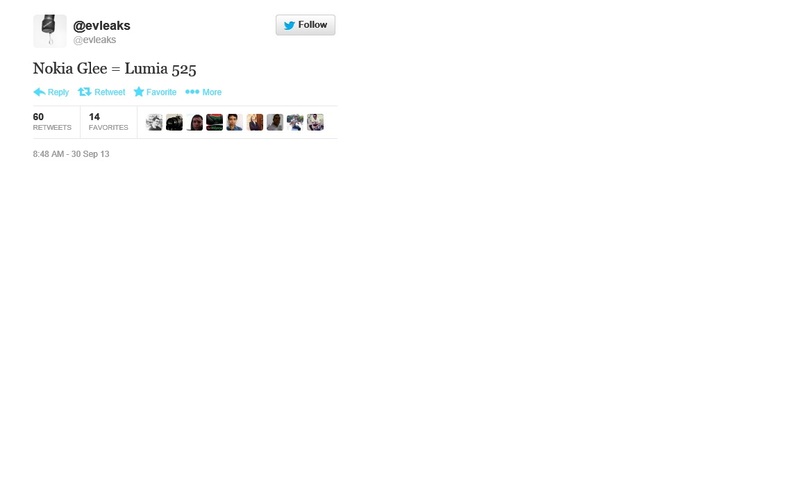 Take a look at the simple tweet below. Written by: MBGW on September 30, 2013.